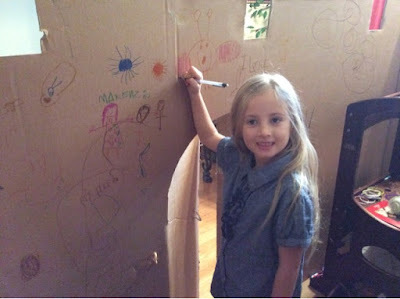 I'm convinced all kids need as far as toys is a good cardboard box. 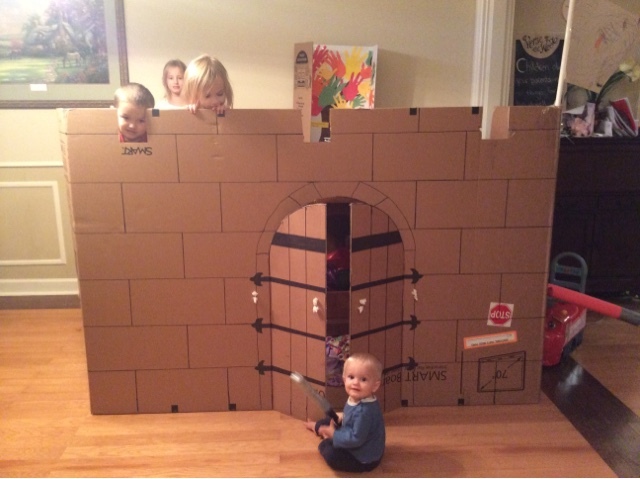 When a coworker called and asked if we would be interested in this big screen tv box, we quickly said yes! 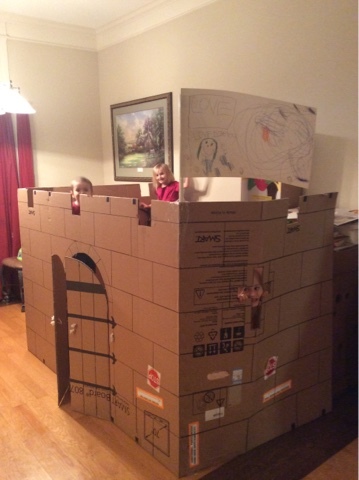 With a box knife, sharpie marker, and a little bit of TLC my husband turned an ordinary box into a castle. 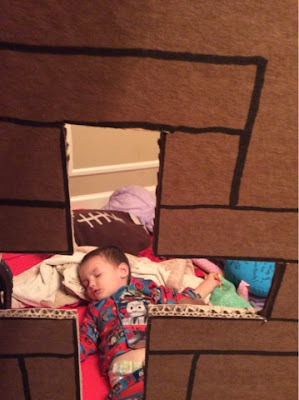 And even slept peacefully inside the castle walls! What are some of your children's favorite cardboard creations? Don't forget to enter our $100 Amazon Gift Card Giveaway!